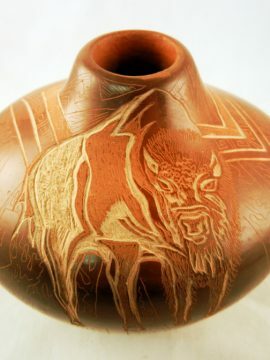 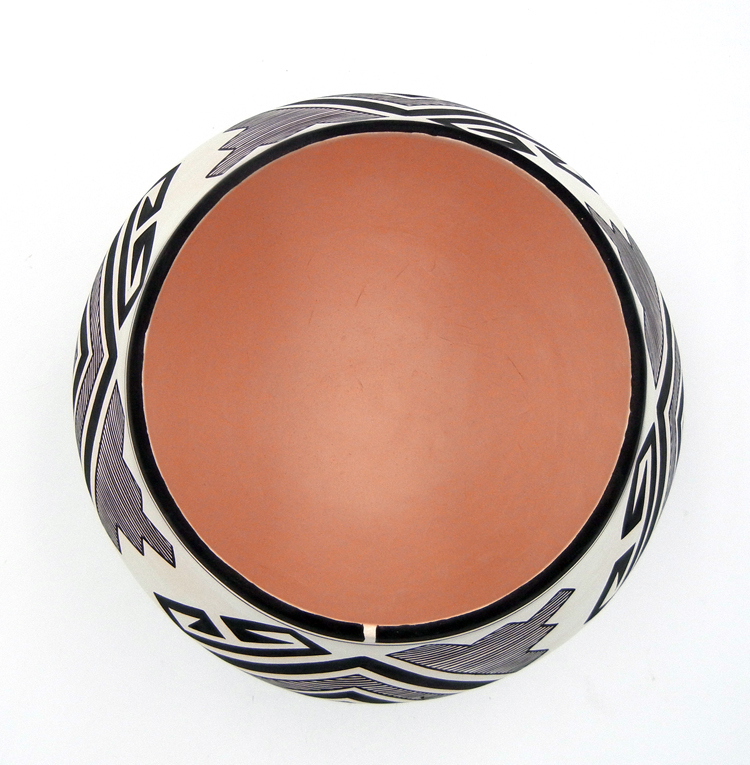 Laguna potter Myron Sarracino puts a spin on his signature and recognizable tularosa design in this gorgeous handmade and hand painted bowl. 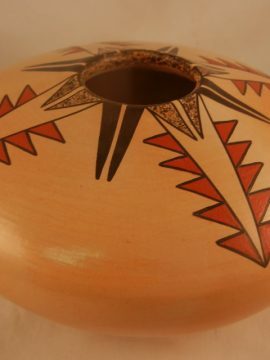 Four tularosa patterns, connected to one another and featuring points rather than swirls, are painted along the center of the surface of the bowl, intermingling with fine line and jagged wave designs. 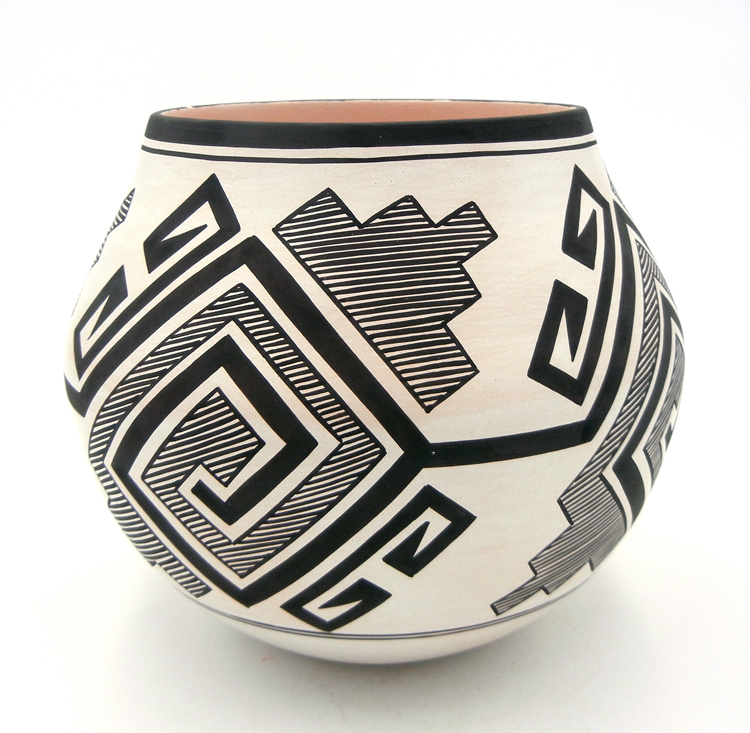 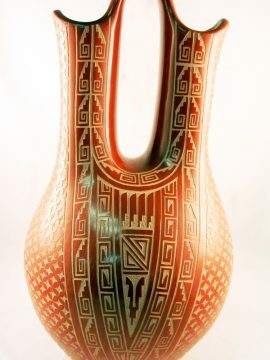 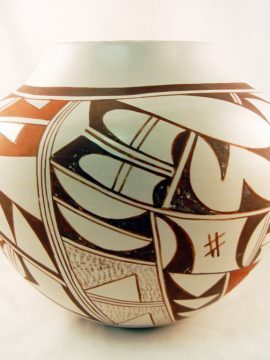 The rim o the piece is painted black, while two very fine lines encircle the piece just below the reoccurring tularosa patterns. 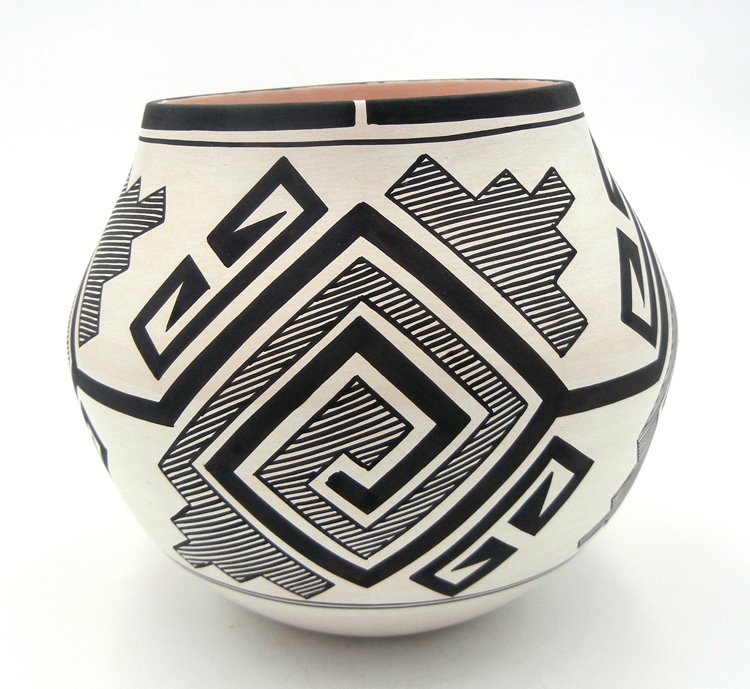 7″ tall x 7 1/2″ wide.